Alongside Orange is the New Black, Netflix’s engrossing political drama fast became one of the company’s true powerhouses. However, after five seasons and the subsequent firing of Kevin Spacey, House of Cards is ready to fold. But not before Claire Underwood has a crack at the White House. She’ll do so on November 2nd, when Netflix plans to drop the sixth and final season of its OG political thriller. Most, if not all of the core cast will be returning to bear witness to the show’s last hurrah, (save for Spacey, of course, whose name is still in the gutter following a series of troubling sexual assault allegations) including Michael Kelly, Jayne Atkinson, Patricia Clarkson and Constance Zimmer. 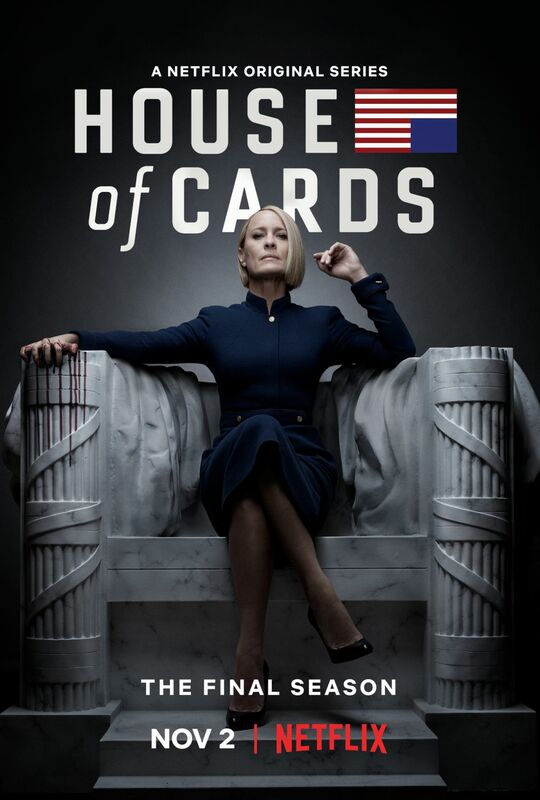 This announcement arrives hand-in-hand with the official (and somewhat ominous) key art for House of Cards season 6, which finds the newfound Commander-in-Chief perched on the throne. Exactly how House of Cards‘ writing team have handled the high-profile firing of Kevin Spacey is still up for debate, but chances are he’s been written out of the series entirely, thereby allowing Robin Wright to assume center stage as the show’s lead. One thing’s for sure: November’s installment will consist of just six episodes (down from the usual lot of 13), as Netflix prepares to bid adieu to one of its original flagships. Also on board for this one are Academy Award nominees Diane Lane and Greg Kinnear, who will be teaming up with that aforementioned ensemble when House of Cards returns for the final time on November 2nd.